Don’t let spring floods damage your home. Protect your valuables, memories and house with a sump pump. Save yourself from home flooding disasters by investing in a sump pump. Sure, spring showers are supposed to do wonders for your garden, but they can also cause flooding, particularly in the basement or crawl space of your home. Even if you don’t live anywhere in the vicinity of a flood plain or river, a flooded basement or crawl space is a very real possibility for any homeowner. In fact, according to the National Flood Insurance Program, over $3 billion in flood-related claims are filed annually. That’s because with flooding comes loss, from ruined sentimental valuables to structural damage. Fortunately, there’s a simple way to stay dry. A sump pump — a mechanical device that pumps accumulated water from the sump basin of your basement or crawl space — is your first and most effective line of defense against flooding. For extra precaution and value, the experts at Perma-Seal — Chicagoland and Northwest Indiana's leading basement waterproofer — recommend going with a battery backup pump, which will function in the event of a power outage. Still need more convincing? Here are four reasons why you should invest in a sump pump this spring. It’s no secret that water flows down, meaning the lowest point in your home is always the most vulnerable to flooding. A sump pump is a key preventive measure you can take to ensure these spaces remain dry. Once the sump pit of your basement begins flooding, a sump pump springs into action by pumping the water outside your home via drainage pipes. Some of the nastier byproducts of a flooded or damp basement are mold and mildew. These unwelcome infiltrators can cause a host of problems, from damaging personal items you’ve stored for safekeeping to triggering allergies and other respitory health problems among family members. A sump pump helps you avoid these domestic dilemmas by keeping your basement or crawl space dry. Sure, we love our homes, but who doesn't imagine the possibility of selling their house should a new job necessitate a move or a growing family mean you need something bigger? 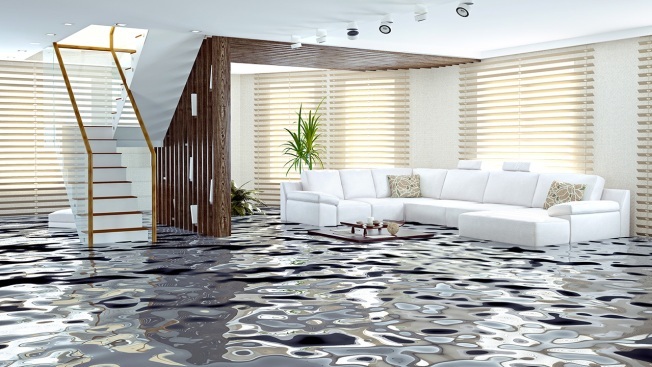 Thankfully, a sump pump can add value to your home in the even of a resale. When a potential buyer inspects your property and sees a working, well-maintained sump pump, they know that one of the most important precautions has been put in place to combat flooding. Flooding is no fun. Just one inch of water in your basement or crawl space can cause expensive damage to your home, not to mention require hours of manual labor to drain. A sump pump, however, can save you money and time. Thanks to its pressure sensor, a sump pump should automatically switch on the moment water in your basement or crawl space reaches a certain level. And while there is always still a possiblity of seepage (due to anything from a lack of drain tile to sewer backup), knowing that a functioning sump pump is in place gives homeowners a peace of mind.